How do you create your company’s brand identity? Marketing campaigns? Nifty logo designs and catchy slogans? How about using your employees? And this doesn’t just mean the person designing your next advertisement. All of your employees — from the customer service representatives who take phone calls to the salespeople who woo clients — are shaping your brand identity every day. Your brand, after all, is more than just the product you sell. It’s also the values that guide your company and the culture that characterizes your organization. All these things together shape the image that you present to customers and the rest of the public. But that image has to be actively created. And unfortunately, according to our 2013 TINYpulse Employee Engagement Survey, less than half of employees know their organization’s vision, mission, and cultural values. Customer service: Does your brand treat the customer as king? Then your whole workforce, from sales to support, should know this. Every interaction a customer has with your company will influence their impression of you. A customer who meets friendly, helpful employees at every step, even in minor interactions, will remember your company as one with great service. Innovation: Is your company known for being on the cutting edge? Do you want customers to see your brand as the source for the newest and the best? Sure, the employees who develop your products are a big part of that. But so are the marketers who design ads that showcase your brand’s personality. Or the managers who encourage employees to take creative risks. They all play a part in positioning your company at the forefront of innovation. Teamwork: Many companies cite teamwork or cooperation as a primary organizational value. A culture of collaboration does more than create an image of a smiling team to show your customers. According to our 2014 TINYpulse Employee Engagement and Organizational Culture Report, peers and camaraderie are the number one reason employees go the extra mile on the job. So a strong team will work harder — and your customers will see it. If your employees are passionate about embodying your brand, customers will feel the effects. So how do you make your workforce know your brand identity and be passionate about living it? 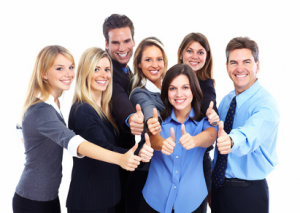 Employee engagement is the driver of all those things. Engaged employees are strongly invested in the company and enthusiastic about their work. When they care about their job, they’ll have the motivation to learn your organization’s vision and act as ambassadors of that vision to customers. And according to Demand Metric, organizations that have over 50% employee engagement keep over 80% of their customers. To invest in your customers, you should start first by investing in your employees. Find out how they feel about their work and what they need from you in order to succeed. Acting on their feedback will show them that you care about supporting them — and they’ll take that care and support and pay it forward to the customer. This article was contributed by David Niu. 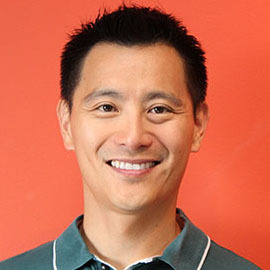 David Niu is the Founder and CEO of TINYpulse, an employee engagement survey solution that empowers leaders with actionable feedback to make positive changes in their workplaces. David is a serial entrepreneur, having founded and successfully sold two prior businesses, NetConversions and BuddyTV. He attended the University of California at Berkeley for his BA and the Wharton School at the University of Pennsylvania for his MBA. He was named a “40 Under 40” recipient by the Puget Sound Business Journal and is actively involved in the Entrepreneurs Organization “EO.” David is also the author of Careercation: Trading Briefcase for Suitcase to Find Entrepreneurial Happiness. This entry was posted in Articles and tagged Brand Ambassadors, employees engagement. Bookmark the permalink.